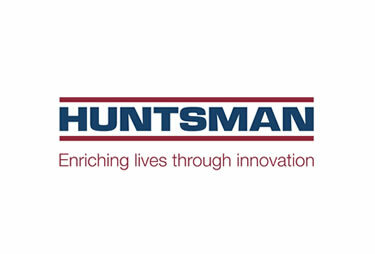 Huntsman Chemicals are a long-standing client of MTP. We have run a modular business management programme for cross-functional groups of managers on a global basis for many years. We were approached by the Polyurethanes business of Huntsman to help them identify the learning needs of those working in the Finance function with a view to establishing a Finance Academy. A confidential knowledge assessment of those working in the Finance function. The aggregate results were shared with senior management, but individual scores were not. A questionnaire completed by Leaders within the Finance function. A further questionnaire completed by Business Leaders in other functions. The programme was aimed at those working in the Finance Function in a variety of different roles including Business Performance Management and Reporting. They were also at different levels of seniority and based at different locations worldwide. These modules were taken by all participants. The more experienced participants used their knowledge to help and coach these with lower levels of understanding. The classes were designed to replicate, as far as possible, the features of a face-to-face class including lecture/discussions, groupwork and participant presentations. A three day face-to-face class took place in each of the major regions in which the business operates: America, Europe and Asia. The classes covered Finance, Business and Behavioural content using a mixture of lectures, group discussions, tailored exercises and case studies. We used the Strength Deployment Inventory (SDI) framework to embed behavioural skills – this framework not only helps individuals understand themselves, but it also helps them to understand other people, thereby leading to enhanced business partnering skills. We have recently carried out feedback amongst Finance Leaders and Non-Finance Partners to capture their opinion on the impact of the course. This feedback indicated steady improvement across the Finance Function in all of the key topic areas. The client is keen that the courses so far should not be a one off and further virtual classes covering both more demanding content and Huntsman specific accounting are being developed. Thank you for the three day course. It was extremely helpful to understand more about myself and how I can now sometimes use these tools to achieve certain targets with my project when dealing with different people. Very positive. I was expecting more class type course with financial elements. Working with small groups, discussing the topics was great. More interesting than just WebEx online training. Training has been absolutely great for the finance community and for my personal growth. This was a great course, very engaging. The time goes quickly, but topics are right amount of time.